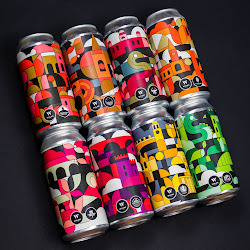 The Northern Monk Patrons Project was set up by the brewery to encourage creative collaborations in the north of England. This 1.03 Fire and Passion is one of three Coffee Porters created with photographer Tom Joy and North Star Coffee Roasters. The marketing information describes this brew as using Cerro de Jesus coffee as well as chocolate and orange juice. It's worth noting that I'm drinking this can only two days before the best before date printed on the bottom, although my experience of porters and stouts is that these dates can be considered as a guide only. Fire and Passion has a thick consistency which with a heavy pour produces a small caramel coloured head with no real lacing. It is very dark, almost black in colour, and doesn't let a lot of light through. The nose is predominantly coffee but some delicate floral and citrus hints also come through. Although the coffee does follow through from the nose, the citrus orange notes really come to the fore. 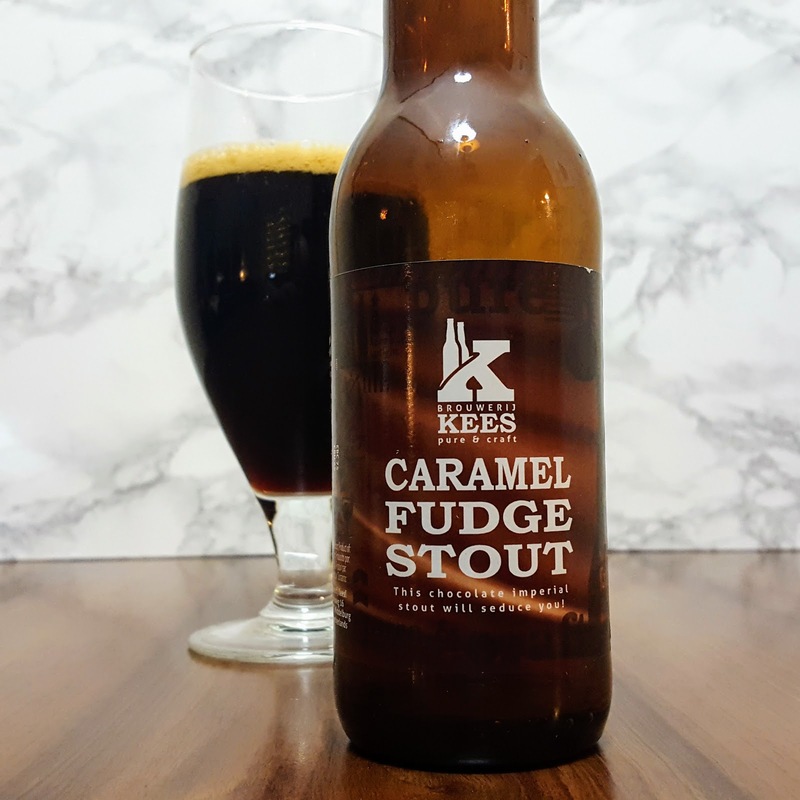 That, along with the rich chocolate and a luxurious consistency that coats your tongue, reminds you off scoffing a chocolate orange. 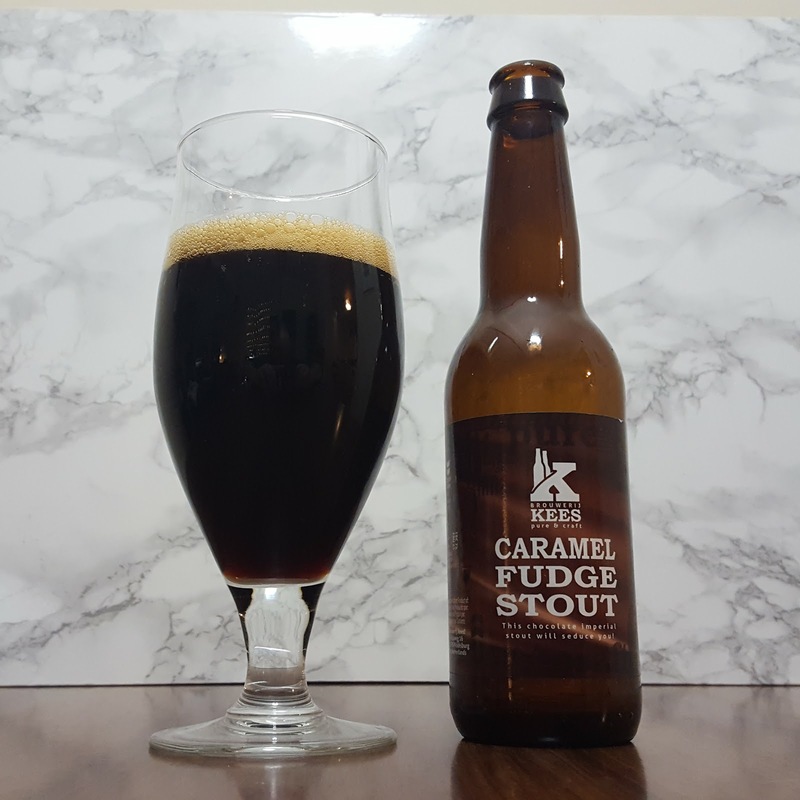 It's actually got far more complex flavours than some of the coffee porters I've tried and I could imagine this one being a little divisive. However I think it all works very well together and it's another Northern Monk beer that I'd definitely drink again. 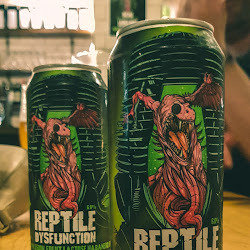 I don't think amongst the UK craft beer scene there are many beers with the reputation of Cloudwater's double IPA, or DIPA as it is known. 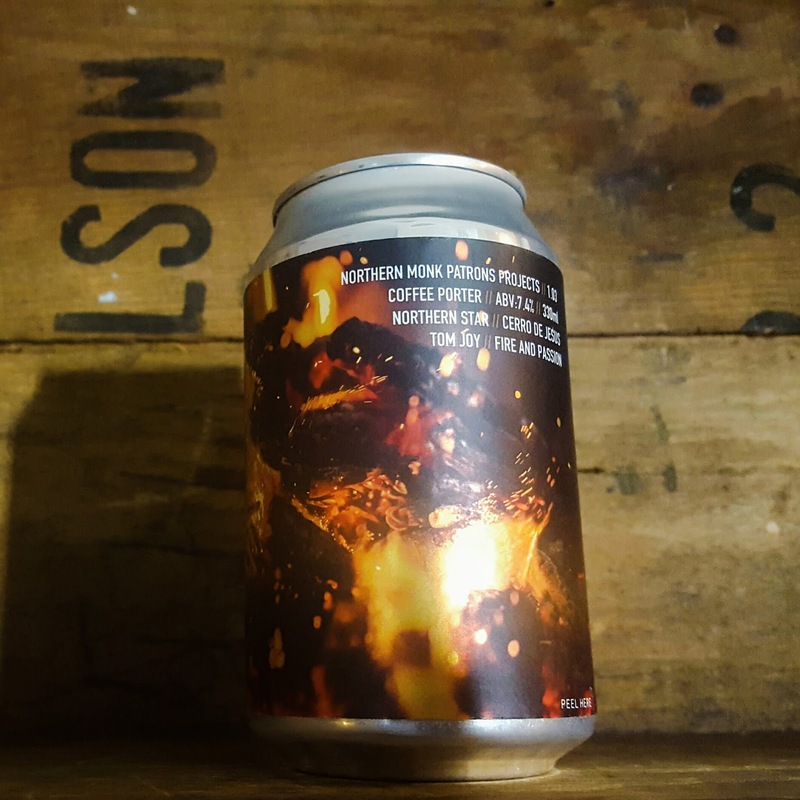 Cloudwater's first DIPA, or V1, was released on 7th November 2015 to commemorate a year in their brewery. The response to this hoppy masterpiece was overwhelming, with drinkers calling for more, so V2 to was created to celebrate their first full year of brewing. Again the beer was generally accepted to be truly special and before anyone knew what hit them, regular versions were flying out of the Cloudwater Brewery in Manchester. 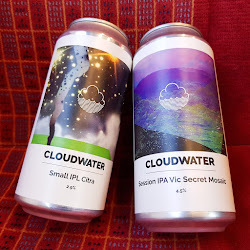 One of the few DIPA's from this side of the Atlantic that is said to compare well with the East Coast American juice bombs, Cloudwater are onto V11 of what they now intend to be a monthly release. This is only the second Cloudwater DIPA that I have tried, having previously sampled (and been very impressed) with V4 after finding a bottle in the Meat and Barrel in Southsea. I hadn't initially intended to order a bottle of V11 this time around, but after seeing the glowing reviews on instagram last night I was having serious DIPA envy. So you can imagine how excited I was when I popped into the Leopold Tavern today and saw six precious bottles sat in the fridge. I only grabbed one bottle (I didn't dare ask for two) but suffice to say I don't think they'll be there long! In the glass is does look like an orange juice, with a thick opaque yellow haze that glows if you look at with a light behind it. It has a very small white head that hangs around nicely with subtle lacing. The nose is an absolute fruit fest, with pineapple, mango and orange all dominating along with a slight citrus pithiness. The extra oats that have been added to V11 gives this DIPA a beautifully smooth and satisfying mouth feel. All the fruits follow through into the taste, along with some resinous pine which helps to remind you that this is a beer you're drinking, not a juice. It's chock full of hops and you can almost feel the saliva being sucked out of you taste buds at the back of your tongue, giving it a lovely lip smacking quality. Then there's just a hint of booze on the finish, as if to warn you that this beer that just screams to be drunk is actually 9% ABV. 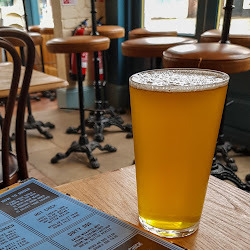 As I've mentioned on previous blogs, it can be easy to covet the hoppy double IPAs that the breweries of East Coast USA are turning out, but this can't be at the risk of overlooking what the UK has to offer. I've drunk some amazing double IPAs in the past six months, especially Northern Monk's Double Heathen and Southsea Brewing's Heavy Artillery. Without a side by side tasting of those two alongside DIPA V11 I can't tell you which is best. 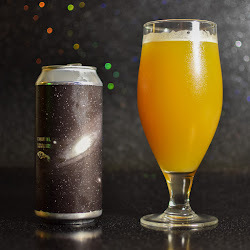 But what I can tell you is that Cloudwater's DIPA V11 is an outstanding beer, one of the best I've ever tasted and I'm really glad that I got the chance to try it. For an area of the country renowned for it's excellent cider, the south west is fast becoming a hot bed for innovative beer brewing. 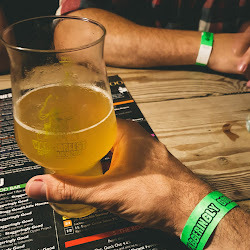 If you look at a map of Breweries in and around the Bristol and Somerset area you'll find Moor Beer Company, Wild Beer and Bristol Beer Factory... and those are just the ones of the top of my head. One of the latest to join the rural explosion is Lost and Grounded, who scommenced brewing in Bristol in July 2016. Founder and head brewer Alex Troncosco started his brewing career in Australia, followed by a stint at Camden Town Brewery in London before beginning his dream project in the west country. 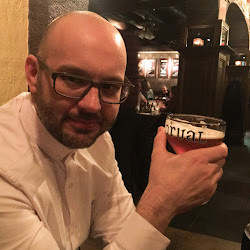 His blog posts are a fascinating insight in to his inspirations and passions, which are reflected in the Lost and Grounded's focus on German and Belgian brewing style. The first beer that I'm trying from Lost and Grounded is Keller Pils, a bottle that I recently had delivered from Hoptimism. It certainly looks like a good pilsner, with a lovely, almost completely clear amber colour. It has a small white head but this doesn't hang around long. The nose is enticing, with grassy hops dominating. 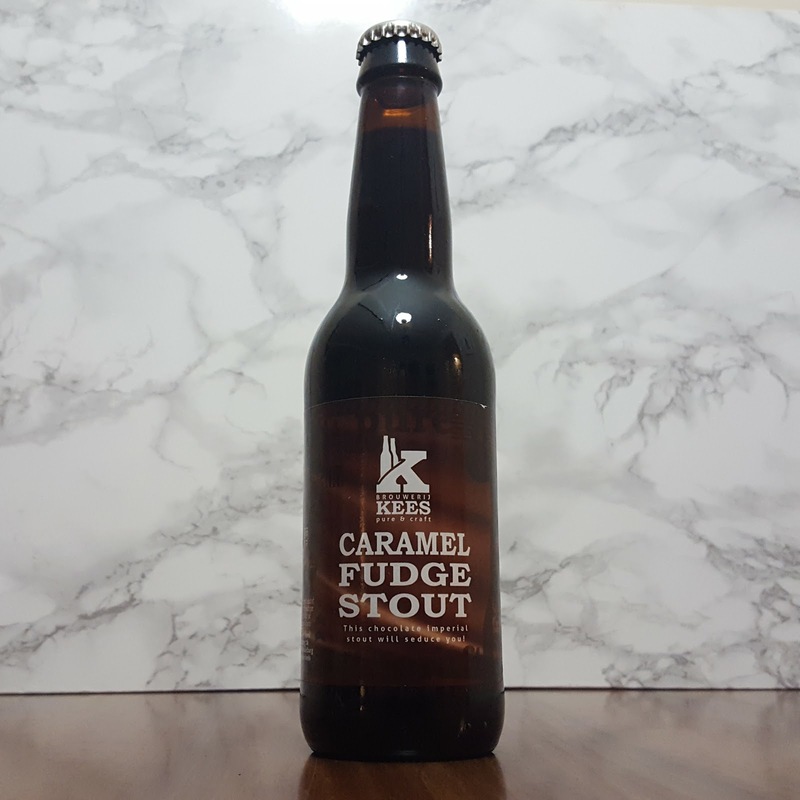 I chilled it for an hour prior to drinking, which along with the smooth carbonation, meant it had a lovely refreshing mouth feel. It tastes great; the fresh cut grass hoppiness coming through with a lovely crisp bitter finish. They may not be the most fashionable style of beer in the 'craft' world, but I can definitely appreciate a good pilsner. Crisp by the American Sixpoint Brewery is a great example. 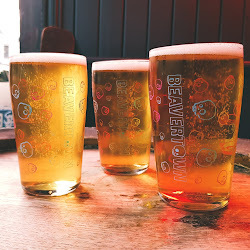 For me the biggest difference between the new breed of lagers when compared to the 'traditional' offerings loved up and down the UK is not that they offer some new complexity of flavours. Rather that they rely on top quality ingredients and brewing to produce something enjoyable and very natural tasting. Lost and Grounded have done just that; Keller Pils demonstrates how good a pilsner can be. It's crisp, refreshing and is a great reminder that there is still life in lagers yet. 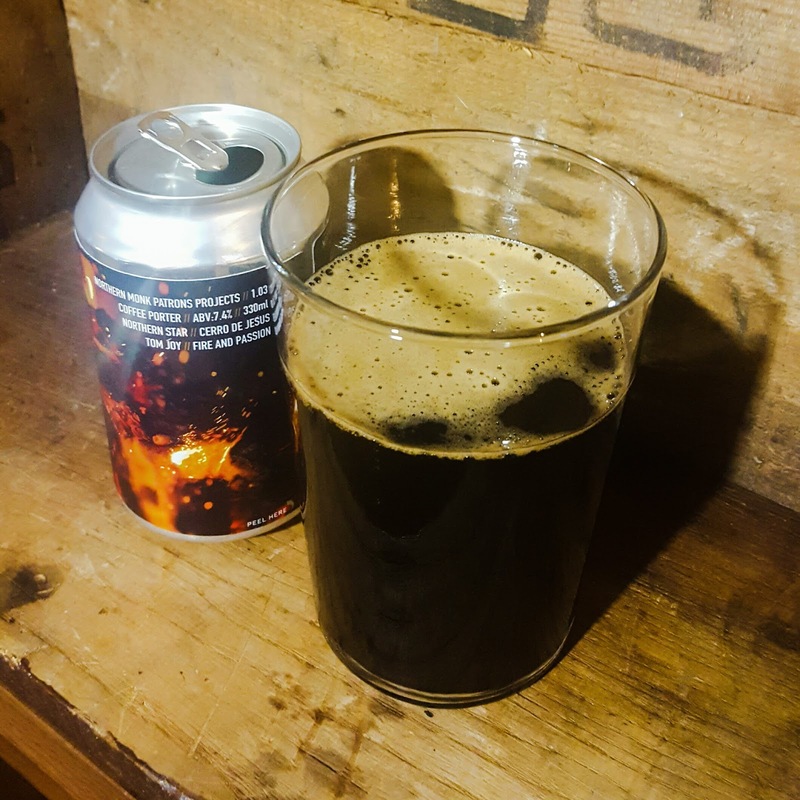 When you consider that I've called myself South Coast Barbell and Beers and that I'm based in Hampshire, I'm actually a little embarrassed that this is the first Vibrant Forest brew that I've reviewed. 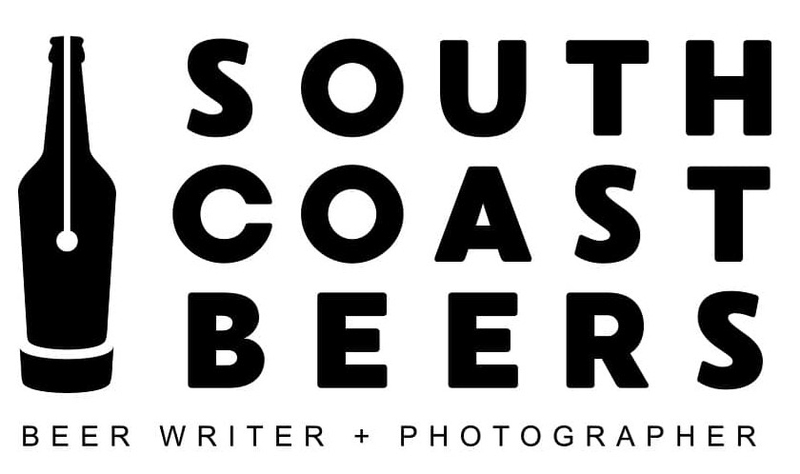 Based in Lymington on the edge of the New Forest, they are a micro brewery that have already gained quite a reputation nationwide and beyond. 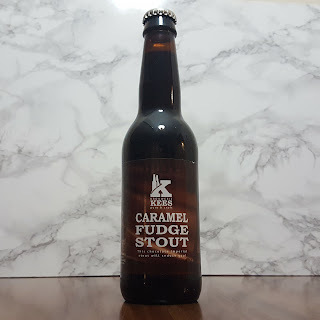 Kick-Start is an oat and coffee stout from their core range and this bottle was part of my recent delivery from Hoptimism. Kick-Start pours a very dark brown in the glass and with it's almost mill pond stillness it looks like a strong Americano. There is clear coffee in the nose, along with a hint of liquorice. The taste is dominated by coffee, in a very good way. 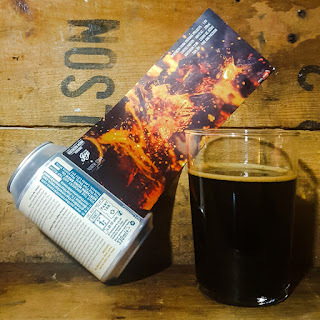 The initial hit is espresso strong before drifting into the bitter dark mocha finish, with the liquorice still there in the background holding it all together. Unlike some coffee stouts I've had in the last six months there's no big boozy finish, so with the help of the smooth but unctuous body, the coffee flavour is able to remain for some time. 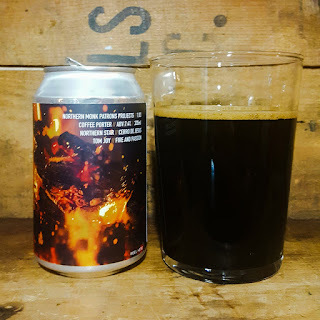 Kick-Start isn't as jam packed with mind blowing flavours or even as 'in your face' as some darker beers on the market right now, but it is a great example of a very good coffee stout, is incredibly easy drinking and definitely one I can see myself having again. This is only my second experience of a Modern Times beer and once again it's a great bit of brewing. Described on the can as a hoppy sessionable pale ale, Oneida weighs in at 5.8% ABV and comes in Modern Times' usual 1 pint cans. It looks beautiful in the glass, with a slightly hazy, light golden colour and a crisp white head. The nose has a hint of lemon but resinous pine is the stronger aroma. It has a decent amount of carbonation and a light body so when chilled, as this can was, it has a mouth feel that screams drink me. It tastes brilliant; the citrus and pine follow through before a snappy but refreshing bitter finish. It reminded me a little of Sixpoint's Resin double IPA, although nowhere near as beefy. Oneida is a great session ale which manages to taste lighter than it's 5.8 ABV would suggest whilst still packing in plenty of flavour. Part three of the Buxton and Omnipollo Ice Cream Series Collaboration and in the words of Monty Python, now for something completely different. 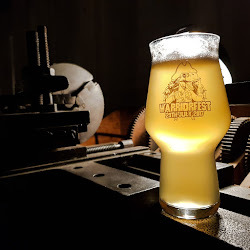 The Lemon Meringue Pie looks almost like a traditional farmhouse cider when poured; hazy orange with a little visible carbonation and no head to speak of. It's aroma is dominated by the citrusy lemon fragrance, although you can still pick up the hops in there. The nose reminds me a little of the Beavertown Bloody Notorious Blood Orange DIPA. It has an almost champagne mouth feel, with little bubbles covering your tongue with every sip. On tasting, the sharp citrus gives you a right old smack in the face, like crunching down on a sherbert lemon. There is then a hint of resinous pine hops before that disappears behind a jaw tightening sour finish. Sour beers are still a relatively new concept to me but this is a top beer (if you can really call it that!) and I'd definitely buy it again. I may be a little late to the party but I'm finally getting around to reviewing the Buxton and Omnipollo 'Ice Cream' series of collaborations. First up is the Original Ice Cream Pale Ale. When I first poured the beer it looked like it was going to be pretty clear however a haze did begin to form, even with any sediment left in the bottom of the bottle. That, along with the frothy head, did give the appearance of an ice cream float. The nose was not what I expected, with citrus and tropical fruits being the dominant aromas, with slight hints of vanilla just below the surface. It has a light carbonation, which along with the lactose and oats, gives it a very smooth mouth feel. This Ice Cream pale ale is actually very refreshing, with the citrus from the nose following through before a bitter finish. With the tropical and citrus flavours married with the smooth mouth feel this reminded me a little of Siren's Oatmeal Pale Ale, Undercurrent. 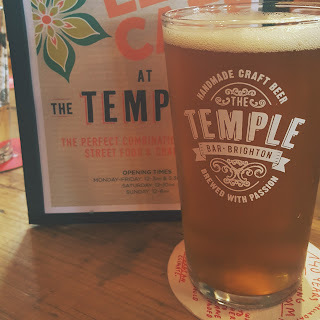 Like Undercurrent, Buxton and Ominpollo's offering took me a little by surprise with how refreshing it is and I think it's a cracking pale ale. As the sun rises on a new year it is almost impossible not to get caught up in the traditional soul searching and regret over missed opportunities. There is nothing wrong with self reflection, in fact an element of review is essential for personal development. But at this time of year it is all too easy to slip into harsh self criticism and gloomy pessimism. Whilst on a global level 2016 was certainly testing, personally I'd class it as a triumph; in work I have enhanced my knowledge and experience, leading to a successful promotion; I have a family who despite very trying times has pulled together and demonstrated unbelievable levels of resilience, support and love; I have multiple circles of friends who do nothing but enhance by life; I have discovered blogging as a hobby and I am lucky enough to be in a loving relationship with a fiancée who shares, encourages and nurtures my creativity. But was it perfect? Not by a long way. I have made mistakes, errors of judgement and lapses in will power. During 2016 I lost a significant amount of weight... and put it all back on again. I had a goal to enter a powerlifting competition... a combination of injury and change of heart scuppered that one. Two bicycles (one road bike, one mountain bike) continued to gather dust in the spare room despite my best intentions when I purchased them. I started this blog, South Coast Barbells and Beer, to chart my two hobbies... but a quick review shows that I drank far more beers than I lifted barbells! But none of this matters now, as long as I continue to learn, reflect and strive to make improvements. So that's what I'm going to do in 2017. I'm going to make improvements to enable me to enhance the things that are going well, change the things that need to be changed and drop the things that just don't matter. In terms of my work life, that doesn't need any drastic changes from me as to a certain degree that is now being taken out of my hand. Due to my successful promotion, at some point in 2017 I will almost certainly have to move teams and location. When that happens I will have to assess what if any effect that will have on my personal life, whilst establishing myself in my new role. This is a challenge I am relishing. On a personal level, continuing to cherish and cultivate my relationships (fiancée, family and friends) must and will be a priority. That is not negotiable. 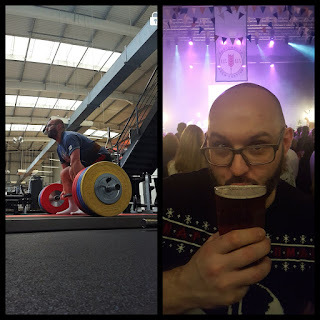 The final area, and the one that was probably most skewed in the last twelve months, was my two great loves... drinking beer and lifting weights. And because they were so out of balance, my success in losing fat was reversed, causing a certain level of frustration. I know there are some that will doubt the feasibility of losing weight and pursuing aesthetic and athletic goals whilst enjoying beer, but I know it can be done. As long as I create balance. This balance will be achieved by taking control of my diet and committing to my training. I'm even going to start doing some cardio! And then when I have a beer, boy will I make sure that I enjoy it. So I don't know about you, but I am facing the new year full of determination, optimism and confidence. 2016 was good but 2017 is the year I create balance, and it's going to rock.